Busy Day at BCFS! Please Welcome: Trixie, Verena and Moses! Sometimes rescue happens in the middle of the week. We are no weekend warrior rescue group! Through a series of volunteers BCFS welcomes three dogs to the BCFS foster care program on a cold, snowy, uneventful Thursday evening in January 2016. Please welcome Trixie a four year old beagle cross spayed female who was abandoned for three days before she was found locked in a crate. No food or water for three days while this girl waited for her rescue… and it came and brought her to BCFS. Trixie is fearful of new people and new situations, but as we watched her race joyfully around the yard we knew she had a solid core of love waiting to come out. She’s very fearful of men and relaxes to her happy self with women. She was found with kids and she was good with them, but has high energy and would likely knock over a toddler. She was delighted to meet new dogs, but wary of people and will cower until she realizes you won’t harm her. She’s great with other dogs and cats only wanting to play and be loved. She is a high energy hound with lots of love to give. If you like daily walks and lots of fun, maybe Trixie is the girl for you! Next to walk carefully from her transport crate is Verena! She’s an eight year old yorkie poo with some crazy ears who’s ready to cuddle. She’s shy, but came out of her shell quickly. She likes her people and other dogs – as long as the boys don’t get too fresh! Verena is a puppy mill mama who has been freed and is ready for her own forever home. She would do well with another dog as a friend, but isn’t so shy that it’s a necessity. She’s already cuddling and is relatively healthy with a fresh dental and teeth cleaning as well as being spayed. At only eight pounds this little girl isn’t suitable for little kids. She’s on the fragile side, so her new family must promise to find just the right sweater on these cold winter nights. This seven year old guy nearly broke our hearts when he peered hesitantly out from his travel kennel. He looked so sad and so afraid. He’s from a puppy mill and is very fearful of people and other dogs. This is Moses’s first step towards freedom. His swollen paws a tribute to his time in a cage. His wary expression and low body carriage all signs of his past. Moses has an ear infection and a bladder infection (common in breeding males) and will be ready for adoption in two weeks. He’s incredibly shy and his new family must be extra patient while he finds his own. We already saw hope, as he wagged his tail moments after his release. We spoke calmly and sweetly to this lovely shih tzu and we saw hope. It was dim and distant, but it was hope. Moses will take a little time to learn that there are good people in this world, but we’ve got the time, the love and the patience to see him through. We’ll be monitoring his health over the next week and hope for improvement. We’d like to add a little update on sweet beautiful Sabre, our eleven year old rottie one week later. It’s hard to believe she’s eleven. She looks and moves like a young dog, but she doesn’t like the cold. We’ve learned she really isn’t good with cats and is fearful around other dogs, but she loves people. As long as her life has some level of consistency, something she can really count on it doesn’t matter where she lives, as long as she lives with her people. After a week of antibiotics we can touch her face without her crying, we can clean her ears without violent head shaking. She’s a beautiful soul who is looking for a home without other animals. She’ll be happy in a house, farm or condo as long as she has you and you’ll never lack for that old fashioned rottie love – you know exactly what I mean to those who know the breed. We need to get her massive infection under control before we can have a dental done on her rotting teeth and have her spayed. It might be 2-3 weeks before this sweet girl is ready for her forever home. Her new family will be the lucky ones! If you are interested in adopting any of our foster dogs at BCFS please fill out an adoption application from our documents page and submit it to Silvana our adoptions coordinator. We are all volunteers and we do our best to get to every message in a timely manner, but please forgive us if we are a little tardy. All our dogs are in foster homes across the Niagara Region, London and Toronto. BCFS requires an adoption application to be submitted prior to a meet and greet with any foster dog. We are also welcoming a 4 year old Chesapeake bay retriever / lab cross and a beige 8 year old toy poodle this weekend – more information to come. If you haven’t found any solutions after carefully considering the information above, then you are welcome to read the Surrender process and fill out the form below. BCFS is an all-volunteer based organization. We may not be able to take your dog but we review all applications. It may take up to a week to hear from us. A. YES! BCFS is very willing to help you find a way to keep your dog. We have a large knowledge base of many breeds and may be able to help you with your unique situation. Please read the helpful resources above. A. No. BCFS is an all-volunteer organization without the means to provide transportation. It will be your responsibility to bring your dog to the BCFS facility on the scheduled drop-off date. A. Once you have signed the dog over to BCFS you have relinquished all rights to that dog. Be sure of your decision. A. BCFS cannot take-in an owner surrender dog who has a history of biting. You should consult your veterinarian to rule out any medical problems causing the behavior change. 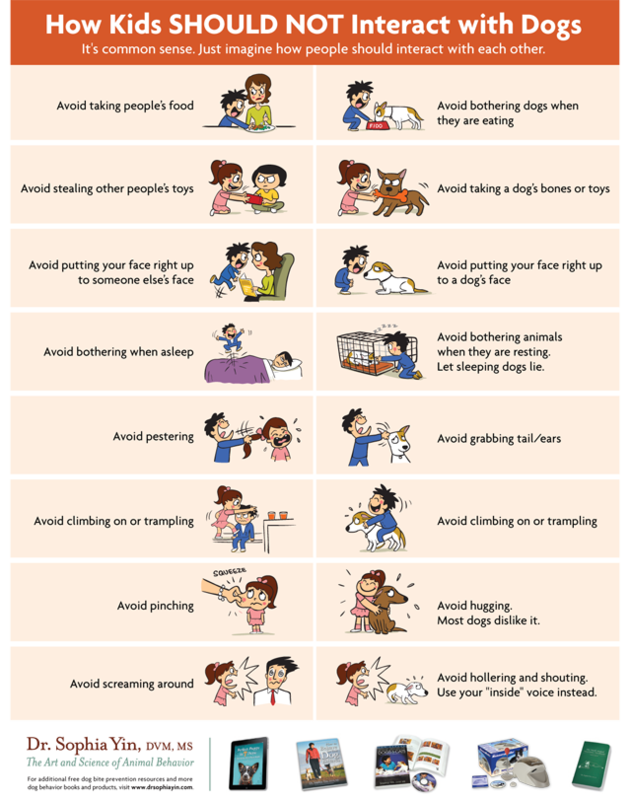 But, just as importantly, you need to get in touch with a professional behaviorist to try and work through the problem with your dog. We will not accept a dog into BCFS without proof of ownership, a signed surrender form and payment of surrender fee. The surrender fee is non-negotiable. She has scars and a bit of a limp. You can tell by her cloudy red eyes that she’s seen things a sweet dog has no rights to see. I can smell the infection and rot leaking out of her ears from across the room. Her eyes are weeping and her hair is dull and thin. She looks lost. People make decisions that affect more than just themselves. People make decisions that affect their pets and those closest to them. Sabre has been hit and she’s been beaten by more than just people. Her people let other dogs beat up Sabre, so it’s not surprising that when against the wall Sabre will use her teeth, but her heart is never in the lackluster attack. She’s misunderstood. My heart melts and my eyes fill with tears as I listen to her snore. She’s finally able to get a bit of sleep. She’s finally able to close her eyes and not worry about her next meal or a safe place to call home. Welcome to Sabre’s life. It’s similar to the children who find themselves in a world where drugs rule and the innocent suffer. She shows fear aggression when faced with new situations. The unknown is very difficult for Sabre, because the unknown has rarely been a good experience. She shows no food or toy aggression, but has shown dog and cat aggression. She needs a dog savvy home. She snapped at Gus who turned the other cheek and gave her a tail wag. How does he know she needs his kindness? How does Gus sense she’s in pain? She seems surprised to find her bowls full of food and fresh water. She’s just as surprised when my hand strokes her gently. She’s surprised me by gently carrying around a small plush toy in her mouth that she sets in my lap as a prize. She’s so proud of that stuffed toy and has not even attempted to tear it up. She’s fine by herself without separation anxiety. She’s completely house trained. She’s horrible on a leash, but will follow me around the yard like a shadow. Meet Sabre – a one of a kind eleven year old Rottweiler in BCFS’ Foster Care Program. Dogs who are abused can learn to trust and love again regardless of age… and we’re going to prove it. When I was fourteen I begged my parents for a horse, and not just any horse – I begged them for a draft cross named Lady Samantha. Some how, some way my mom worked some incredible mom magic that made Lady Samantha mine. I don’t have a teenage memory that doesn’t revolve around Sam. There isn’t a backwards thought where she’s not front and centre. I showed, I rode, I loved and cared for her until her untimely death in 1997. I feel all these memories rolling over me as Turtle is adopted by a family with a fourteen year old girl. Whiskey Finds his Forever Home!!! Whiskey is moving to the big smoke to live in a very lovely condo. His new family is a young active couple who were searching for a sweet young dog to call their own. Whiskey is spending this New Year’s with his new family at their cottage where I’m certain he’ll be spoiled rotten – as every dog should be! We congratulate Whiskey and his new forever family in making a life long commitment. Special thanks to Shelley for doing the initial rescue and transport of Whiskey to the BCFS foster care program. To Sara and Mike who fostered Whiskey for a few weeks and to Dave, Lindsey, Olivia and Sydney who helped Whiskey become a happy dog. Rescuing an animal is a group effort! Well done group! Happy Tails Whiskey! Adopted! Upsy Daisy Finds Her Forever Home! BCFS is thrilled to wrap up 2015 with the good news that Upsy Daisy has been adopted! Former puppy mill mama Daisy went to her forever home on December 30th after weeks in foster care with Ashley and her own pup. Upsy Daisy celebrated her first Christmas of freedom from a puppy mill with her foster family, and dressed pretty for the special occasion. Foster mom Ashley worked on Upsy Daisy’s house-training and says it’s coming along! Daisy isn’t 100% house-trained yet and doesn’t like to do her business on walks, she prefers to use a pee pad when she gets back home. To encourage Daisy to go during walks, when she does Ashley uses positive reinforcement, giving her praise and a treat. Speaking of walks, playful Daisy likes to play a game of “try to catch me” on walks and Ashley says she mischievously steals her clothes from the bedroom and drags them into the living room to sleep on. Daisy also likes cuddling, stuffed toys and a soft pillow, a far cry from a puppy mill’s cage! Congratulations to Upsy Daisy’s new family on her adoption! Upsy Daisy has no real behavioural issues and at only 3 years old, this sweet pea will make a wonderful family member for many years! Thank you to everyone who expressed interest in adopting Daisy, and with so many unwanted dogs needing good homes, BCFS hopes you’ll consider adopting another, and keep following our work as we continue our mission of rescuing, fostering, rehabilitating and rehoming animals. Please adopt, don’t shop! A Happy New Year for Upsy Daisy, starting her new life with her forever family! This has been a year of growth and change for BCFS. This year has given us food for thought in deciding what kind of rescue we would like to be and the animals we would like to help. What kind of rescue is BCFS?